I have a few leftover frags after rearranging the tank. Pick up in San Mateo or I can bring to CFM. Interested in orange and green mushrooms and orange mushrooms. Our school would love a spaghetti leather and either of the rhodactis. CFM would be perfect. Are you stocking any LPS or gorgonians in your big softies tank? 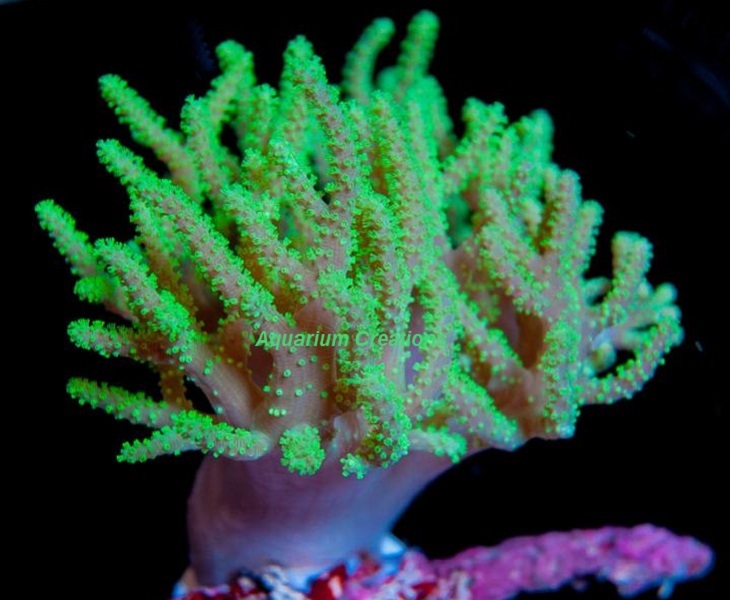 We currently have pale almost white candy cane, a gorgonian we can frag, plus green shrooms with a bit of purple that are kind of iridescent. Updated first post... Green shrooms would be awesome MolaMola! - Green toadstool I would love one. It's... Similar to that one. Tan base, green polyps. But it's had a rough life until now, def not that bright at the moment. I would appreciate a Orange/green rhodactis and a frag of leather if available. I can pick up from san mateo. If there is anything leftover Ill take it, I can pick up in either place. Just rebooted my tank and it is pretty bare, need lots of stuff to fill it up. I'm interested in a green/orange shroom. Are there any other frags left? Thanks! I can pick up at CFM as well. @treylane When will you be at the CFM? I will be there by 2 until cleanup afterward. I'm planning to be gone by then, but I can leave the containers at the club booth with your name on em? I wanted to bring you cool green shroom. Any idea how late you might stay?